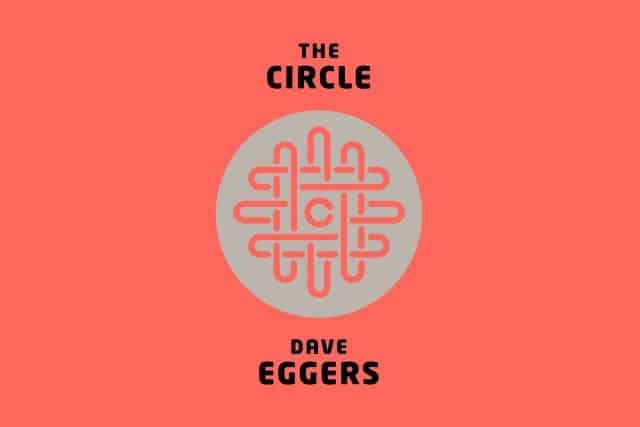 The Circle is just a book about a mega company which seems to be a cross between Facebook, Google and Apple. Facebook – All knowing and sharing; Google – The monopoly and always present internet presence; Apple – All the new must have shiny tech. Not wishing to spoil the plot for any potential readers I will warn now that there may be some minor spoilers ahead. The story mostly revolves around the main character, Mae, as she starts a new job at The Circle, the most prominent tech company on the planet. The Circle was originally a small start-up of three which has grown into the giant it has become by the time Mae gets her first job there. While fictional, there is a clear intent to make the story recognisable. It’s set not all that far in to the future and, though the technology described doesn’t really exist, it is all definitely plausible and most likely more of a prediction rather than an imagination of where the industry is going. What struck me most whilst reading through this story is not what was being used by The Circle, but how. Everyone on the mega campus is called together in one big auditorium for the great reveal of the next latest product which is soon to be released to the public. There is a Keynote style presentation as the audience (employees) whoop and cheer in excitement for a tiny, portable camera which is always connected and the battery lasts a decade on one charge. Throughout the whole book I couldn’t help but feel uneasy about what I was reading. The question of privacy is ever present in everything that occurs, which on the face of it is deemed a breakthrough revolution in social interaction and technology. Peeking out from underneath all this is the flip side which I believe the reader is expected to be aware of – the dark side of these advances if you like, the Big Brother effect. My favourite character is the ex-boyfriend who has rejected all connection with the tech scene, having only an old website for his business which was reluctantly acquired. He provides the voice of the minority in this future society, defending his belief that The Circle is not good at all. He does however come across as a little unbelievable ( as do 90% of the characters ) and quite patronising, which is not so fun. To be honest, I didn’t really enjoy this book all that much. Mostly the story was dull as the main character describes her office job, but perhaps this was intentional as the author tries to highlight the tedium which surrounds our social interactions online. The parallels to our own experiences are apparent, we are distracted by meaningless numbers associated with our online lives – likes, followers, friends, posts and so on. The goal of increasing these numbers and the struggle to consume all the content which drowns us every day distracts us from the chipping away of our privacy or ownership of personal information. We trade in our privacy for online services and those companies which provide these services are making a fortune off of it. Free services seem to have a hidden cost which when pooled together is worth a LOT of money. So while this book was a little tedious and underwhelming to read, it sparks up this privacy debate to the reader (well this reader any way), which is important. After reading about The Circle you can decide if that is the future you want or if you want to take steps to prevent that from ever happening. There is also a parallel with a shark which came from the Mariana Trench which the author uses to explain where The Circle is heading. Perhaps it is worth reading just for that! ?